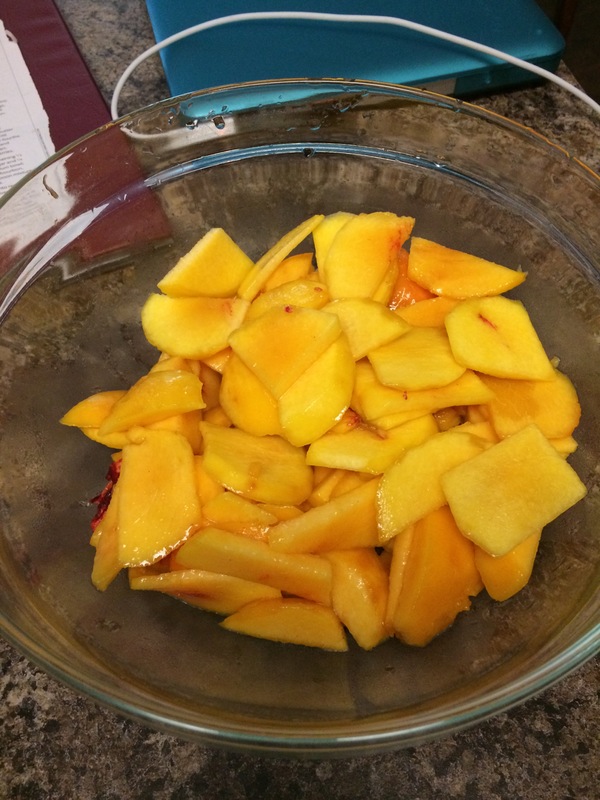 First, prep your fruit. 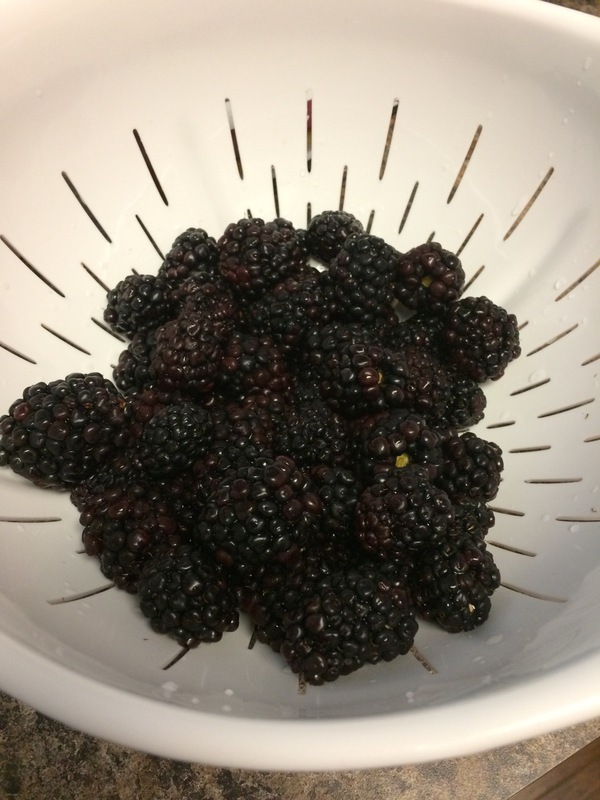 Plump, juicy blackberries ready to be cobbler-ized! Peaches are so pretty. These came from the farmers market just 10 minutes from my house! Preheat your oven to 350. Then, create the batter. Beat the butter and one cup of sugar until creamy, then add eggs one at a time, beating until just blended after each one. Add in the vanilla. Stir together baking powder, salt, and 3 cups flour, then gradually add to the butter mixture, beating until just blended. 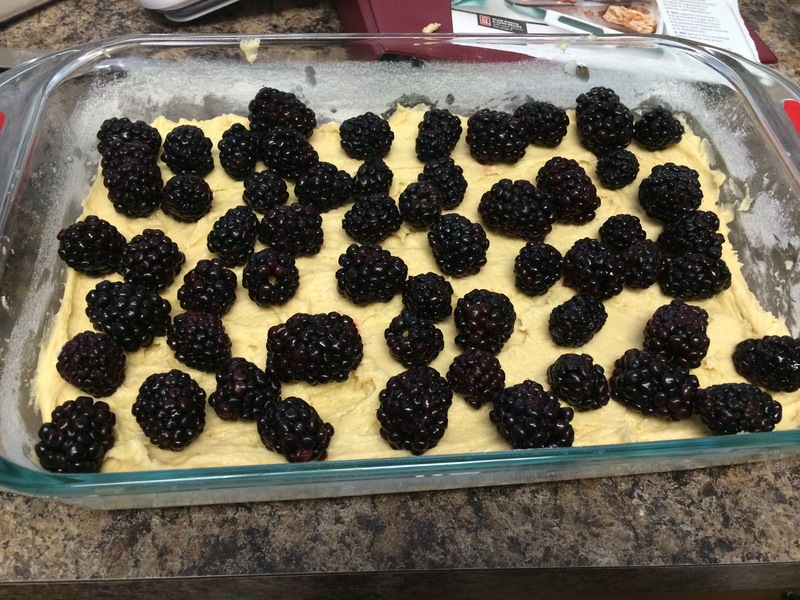 Spread 3/4 of the batter into a greased and floured 9×13 inch pan, then place the blackberries on top. The batter is quite thick and difficult to spread, so don’t worry about making it completely even. Just do the best you can! 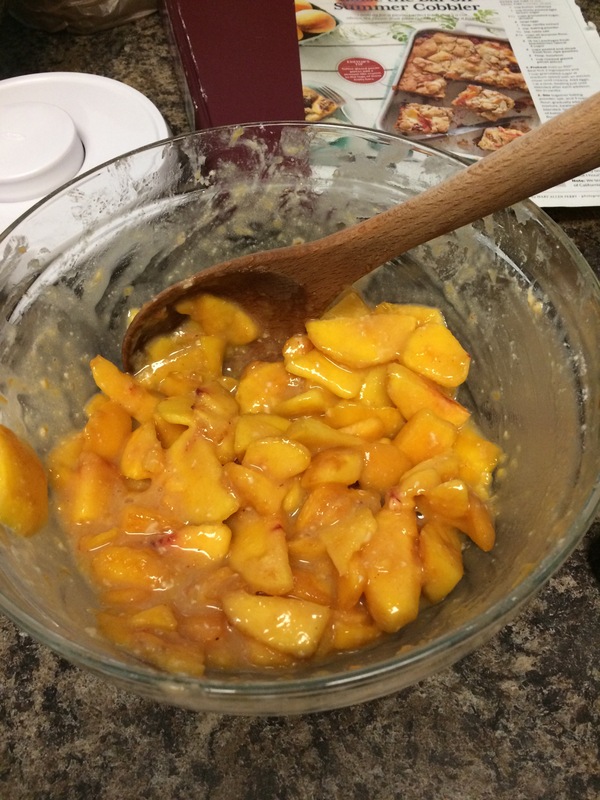 Add the remaining 1/2 cup of sugar, 1/4 cup flour, and 1 tsp vanilla to the peaches, stirring to coat. 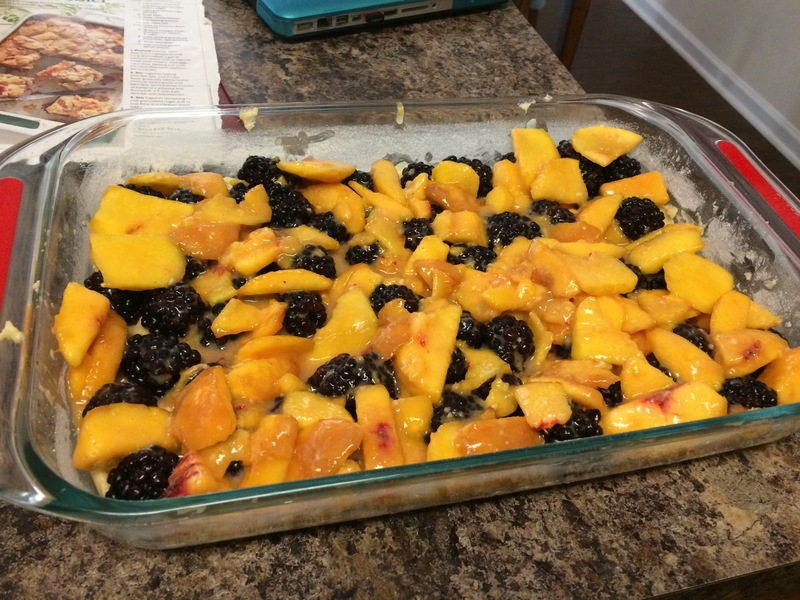 Spread the peach mixture over the blackberries. 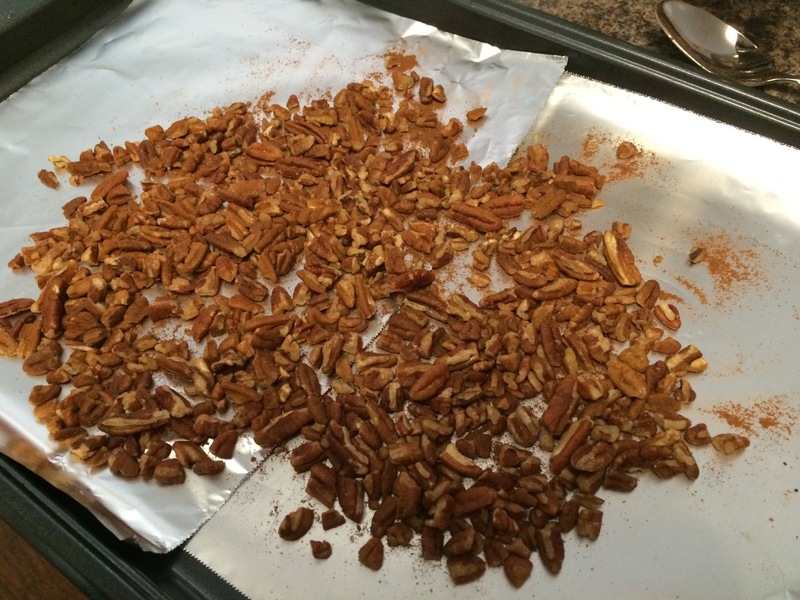 Add 1 tsp cinnamon to the pecans and spread them on a cookie sheet. Bake them in your preheated oven 5-10 minutes, until fragrant. Once the pecans are done, stir them into the remaining batter. 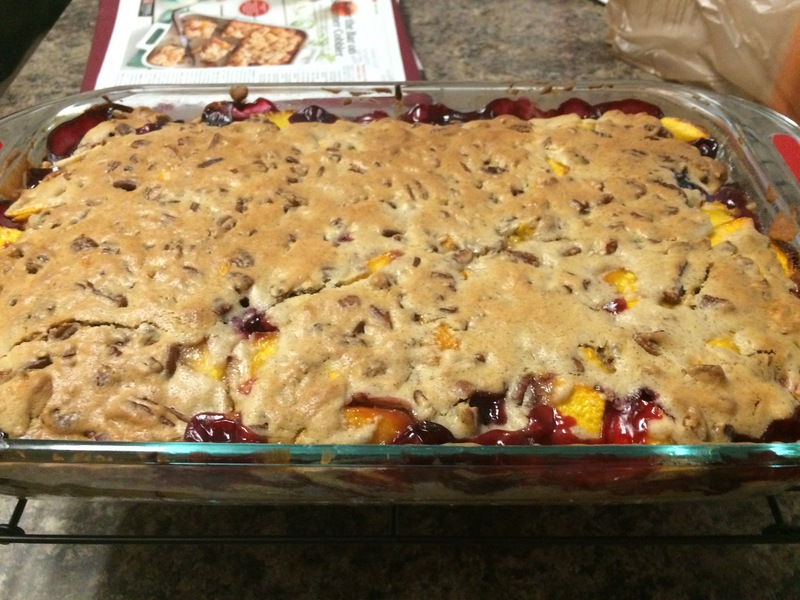 Then spread the batter on top of the cobbler. Again, it will be a bit difficult, so don’t worry about making it perfect. Clearly, mine isn’t! Bake for 1 hour or until golden and bubbly around the edges. Cool completely on a wire rack before cutting into bars. 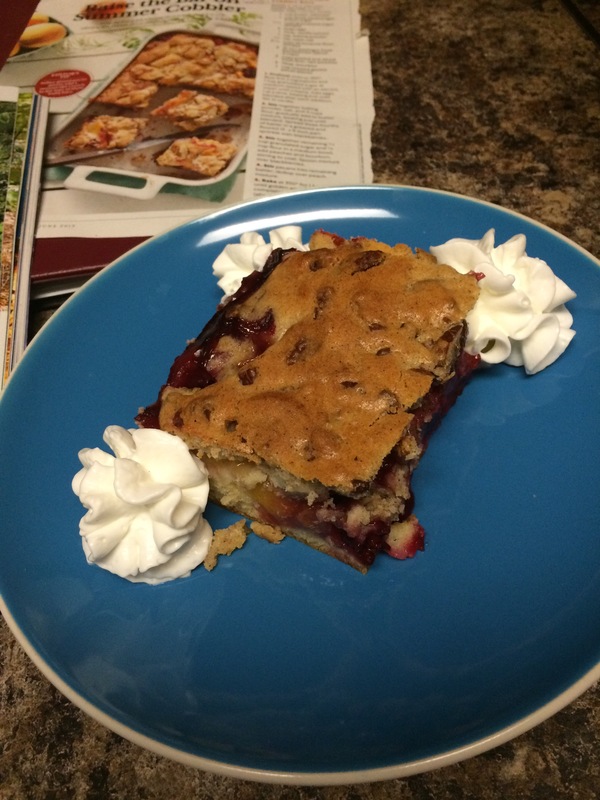 Southern Living says the recipe makes 10-12 servings, so I cut 12 bars. But as you can see, they’re quite large! I think you could easily get more. Serve warm with a bit of whipped cream (or ice cream if you have some vanilla lying around – I didn’t!). 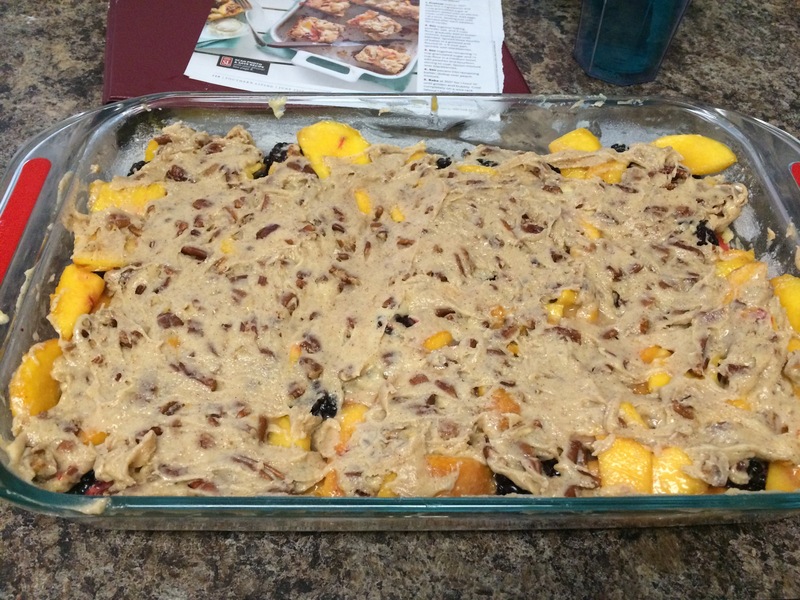 The fruits are sweet and juicy, and the pecans in the topping add a nice crunch to the whole thing. 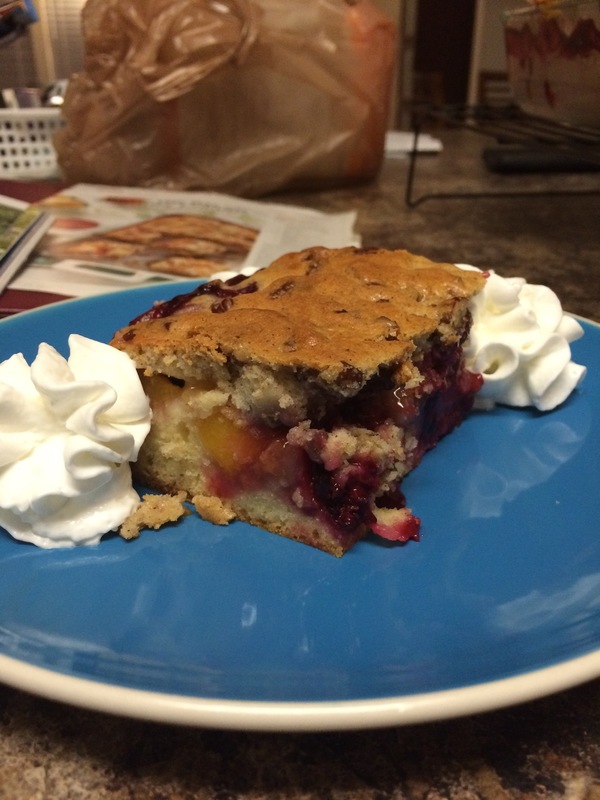 It’s like having pie and cake together! Are you sad about summer ending?